The word, "sandalwood" in English, or "chandan" in Hindi, evokes a world of ancient mystery, sanctity, and devotion. Sandalwood has traditionally been regarded as one of the purest substances and is valued for its spiritual properties and its medicinal value too. It is believed to promote tranquility as an aid to meditation. 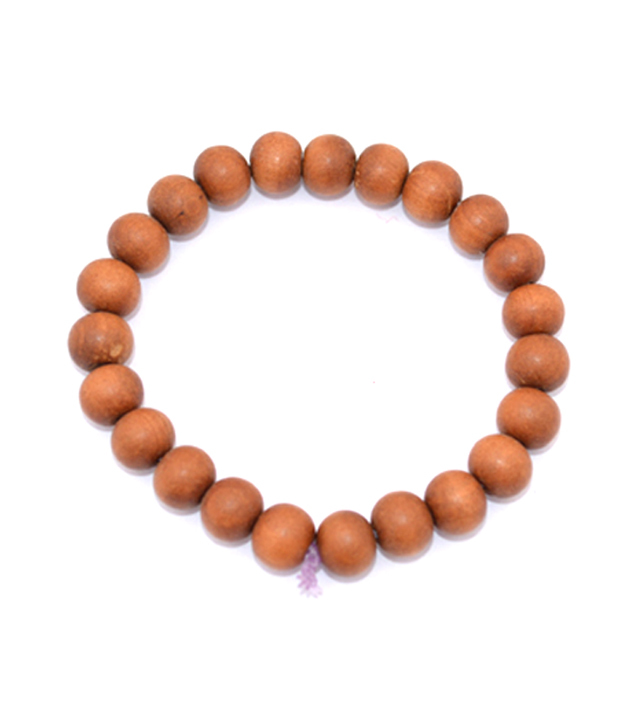 Sandalwood is very calming and cooling; It is said to attract positive subtle vibrations, bring clear perception Disclaimer: These Semi Precious stone/Beads are believed to bring about all the good things. We do not guarntee its success and are not responsible for any claims. Any person with a conditions requiring medical attension should consult a qualified practitioner or therapist. Product colour may slightly vary due to photographic lighting sources or your Screen settings.